GE recently asked some 2,000 business executives from around the world about innovation, and the results are in. 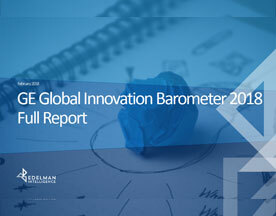 The company just released the 2018 GE Global Innovation Barometer. The comprehensive report explores the drivers of and barriers to global innovation.